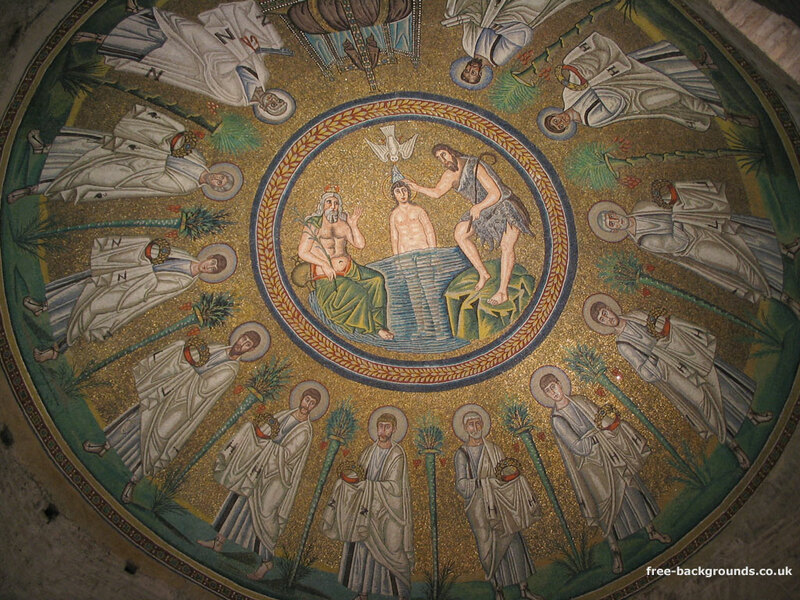 This beautiful Byzantine mosaic, featuring a background made from glass covered with gold leaf, covers the domed ceiling of the small Arian Baptistery in Ravenna. The baptistery was built in the 5th Century, but the mosaic looks as though it could've been done yesterday. The mosaic pictures Christ being baptised in the River Jordan - the anthropomorphic representation of which is on the left. St John is to the right, and the dove represents the holy spirit. The outer circle is made of the 12 Apostles.